Some days you wonder Is there more to life than just grinding it out? Are there days when you tell yourself I am capable of so much more but you just don’t know where to begin? Bhavana is all about helping you to create more happiness in your life. It’s about positive thinking, manifesting your purpose, inviting change, developing your skills, visualizing a new path, and developing characteristics about yourself that will put the pieces of the puzzle together so that you wake up excited to start each day because you are on the path that just feels right. I did a yoga teacher training in 2012 in hopes of gaining a deeper understanding of myself since I enjoy so much the mind and body connection that yoga creates for me. Everything I present in this blog is based on my interpretation of the lessons I learned through the training and how I’ve applied them to my own life. Like everything in life, it’s just another layer of reflection, inspiration, and motivation for you to take action in your own life and live your Bhavana. Yoga is a system of self care and spiritual psychology whose aim is to improve the human condition by transforming the mind. It is not a religion and everything I present in this blog is not intended to change whatever religion you do practice. Instead, it is to offer up some of life’s deeper questions in a new format. The first is Dharma. This is the practice of fulfilling one’s destiny and performing one’s duty despite any fears, doubts, and distraction. I personally don’t know anyone who doesn’t struggle with this in some form. If you are lucky enough to know your purpose on this planet and have a clearly defined goal, you will probably struggle with some form of fear, doubt, and distraction. I know I do. I can clearly picture where I want to be a year from now, but inevitably I get tired and start telling myself a hundred reasons why I can’t. A kids gets sick and I get scared that I’m making the wrong decision or being selfish. I get caught up in my sports and hobbies and don’t set aside the time needed to nurture my business. If you have no idea what your purpose is or struggle with creating desire, jump over to my blog Finding Your Bhavana: How To Create Desire When You Don’t Know What You Want. Once you have a clear picture of your dharma (or purpose, or desire, or whatever you choose to call it), then it’s time overcome the fears, distractions, self doubt. But how? That’s where Jnana comes in. This is acquiring wisdom and making choices based on clear perception rather than memory or sentimentality. In essence, it’s the ability to see the cause and effect of choices, decisions, and actions in your life. It can be as simple as every time I eat pasta I get a headache to I should’ve hired out and expanded my business when it was at it’s prime, but I was scared someone would do a better job than me and that might have hurt my ego and self worth. I personally find that awareness is the biggest step you can take towards overcoming all those fears, doubts, and distractions because once I realize that they are happening, coming up with actionable steps tends to be easier for me. I know that’s not always the case for everyone though. We are emotional creatures so it’s often hard to put into practice feelings that might be limiting our progress or too hard to separate facts from feelings. Again, being able to acknowledge and accept when you do make a choice based on past feelings versus a clear mind is a huge step in the right direction. That’s how Vairagya can help. This is acknowledging and being willing to separate obstacles from your goals. Releasing the emotions which bind us to past choices and actions which were once appropriate but no longer meet the challenge of the moment. It can be things that use to bother you and don’t anymore. I like to think of this as the “but” of our dreaming phase. Victor and I will often talk about what our next goal will be and I’ll catch us justifying why we can’t or putting up road blocks before we even finishing scripting the possibilities. Whether it’s fear of failure, fear of not having enough, or fear of being different, we often have to fight these obstacles and release the emotions that aren’t allowing us to achieve our goals. This is a quality of devotion to a teacher, a god, a principle, or one’s own dharma. This ability to give oneself to someone or something that you hold dear. This is where yoga doesn’t have to interfere or conflict with whatever religious beliefs you may have. It’s okay to have a goal, to see or evaluate the effects of our choices and to release emotions that may limit your growth, all while staying devoted to a higher being. Take a look at the diagram below and look for ways you can fulfill your destiny, see how you can make decisions with a clearer mindset, take steps to create more joy in your life by eliminating obstacles, and devote yourself more fully to something you hold dear. Now that you understand the path to creating the life you desire, let’s look at some tangible steps you can do to make all this happen. If you’ve spent some time thinking about your desires, you should start to be able to form positive, concrete, and specific images in your head. Now you are ready to positively project your future. When you write your Bhavana, you are “remembering you future”. You MUST MUST MUST write it down in order to start making it a reality. When you write down your bhavada remember the tips below. After all, if you can’t taste, smell, see, and hear it, it’s unlikely to happen becasue you won’t really know what you want ot achieve. Remember you can’t have it all, but you can have ANYTHING! To make your bhavana come true, you have to act as if it’s already true. It’s like proving to the universe that you’ve got what it takes. But you have to be specific. If it’s too vague, it’s really hard to manifest because the universe doesn’t have enough specifics to deliver it to you. It’s kinda like telling your kids to clean up. Their version of clean is probably way different than your version. Are they supposed to make their bed, put away their toys, dust their furniture, vacuum the floor? 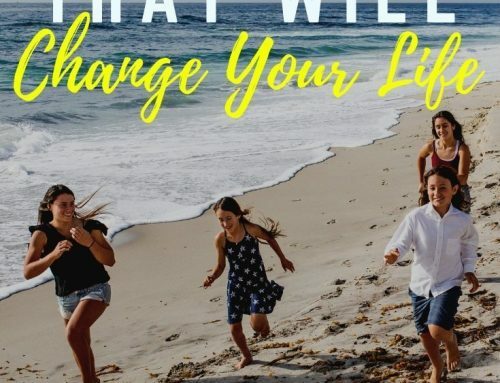 Just like we have to be very specific and clear with kids, we also have to be specific and clear about what we are trying to manifest in our life. 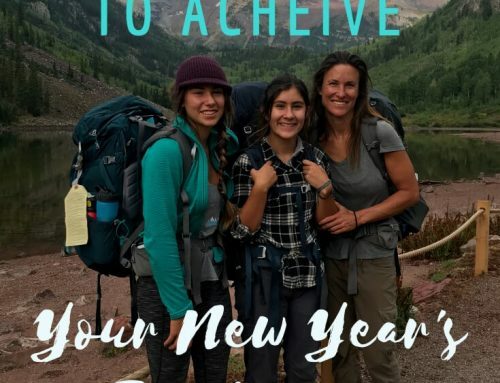 I’ve seen it work in my own life from having kids and raising them, to improving in my sports and achieving my travel goals. In fact, twice I’ve booked seven plane tickets ten months in advance before I have money for the trip and then get to work manifesting enough money to do the trip. And as much as I am a believer in this type of Magic, I am still really bad at asking for what I truly want. I tend to manifest the minimum effective dose of what will make me happy. I’m beginning to recognize my limitations in why I don’t actively work to manifest more…FEAR. It comes down to fear of failure, fear of seeming greedy, fear of what people will think. What have you already manifested in your life? What has held you back from manifesting more? What do you really, truly want to manifest? How do you see yourself being able to break barriers and start manifesting what you really want? 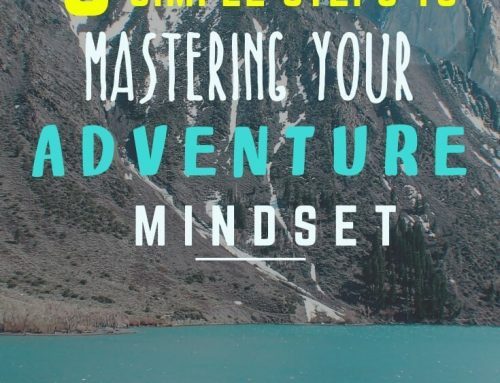 I think Jen Sincero’s book You Are a Badass: How to Stop Doubting Your Greatness and Start Living an Awesome Life has really helped me along this path of manifestation. However, sometimes it is a huge leap to go from figuring out what exactly you want and achieving it. You really need a plan. You need steps to go from I want this to I have this or I do this or I am this. 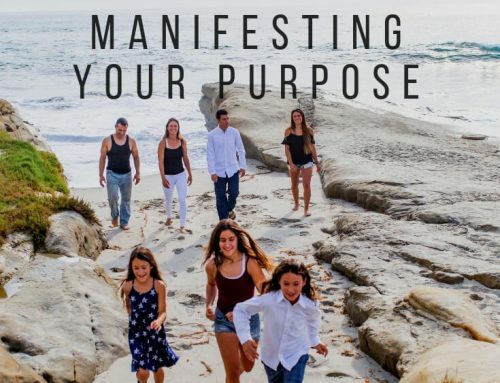 If you need the steps, click over to Achieving Bhavana: Manifesting Your Purpose. Naturally emotions are going to get in the way and there are obstacles you must get around. There are many ways to overcome this. 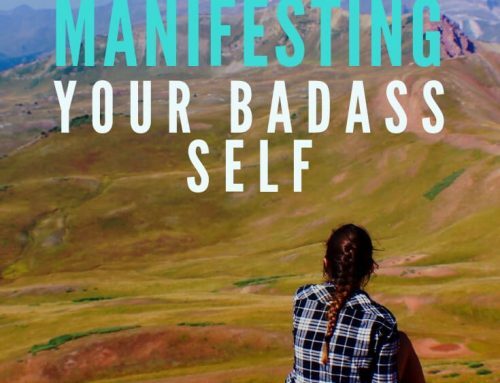 When you find yourself getting stuck, head over to this blog 39 tips for Manifesting Your Badass Self and see if you can regain that momentum.